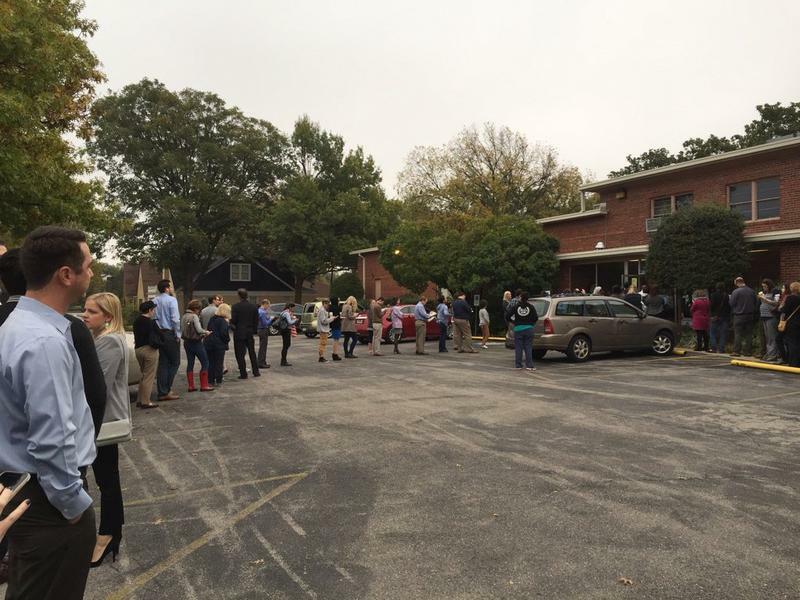 A line forms outside the Crown Heights Christian Church in Oklahoma City shortly after 8 a.m. on Election Day, Nov. 8, 2016. During the 2016 election cycle, KGOU, KOSU and StateImpact Oklahoma came together in a collaborative reporting project called Oklahoma Engaged. Through our partnership, we provided numerous online and broadcast resources to help voters understand state questions and the election process. Now, we are pleased to announce KGOU, KOSU and StateImpact Oklahoma have been chosen to receive a regional Edward R. Murrow Award from the Radio Television Digital News Association for the Oklahoma Engaged collaboration. The Murrow Award is one of the most prestigious honors in journalism, and RTDNA recognized us in the category of Excellence in Innovation. So, congratulations to all the reporters and producers who made Oklahoma Engaged happen, and thank you to all the public radio listeners and donors who supported the project and relied on us for trusted news and information about Oklahoma’s elections. 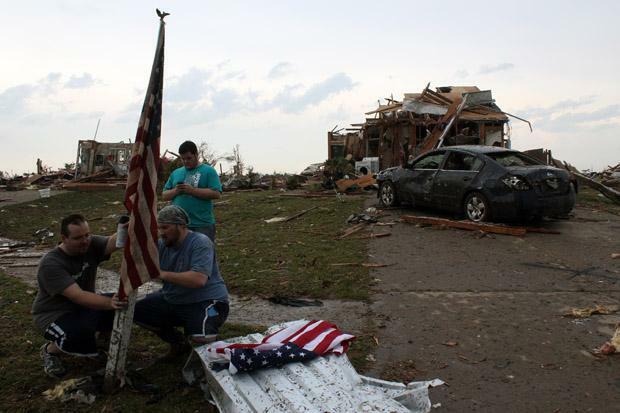 On Wednesday, the Society of Professional Journalists honored KGOU, KOSU, and StateImpact Oklahoma with a national Sigma Delta Chi award for collaborative coverage during the immediate aftermath of the May 20, 2013 tornado that devastated Moore. 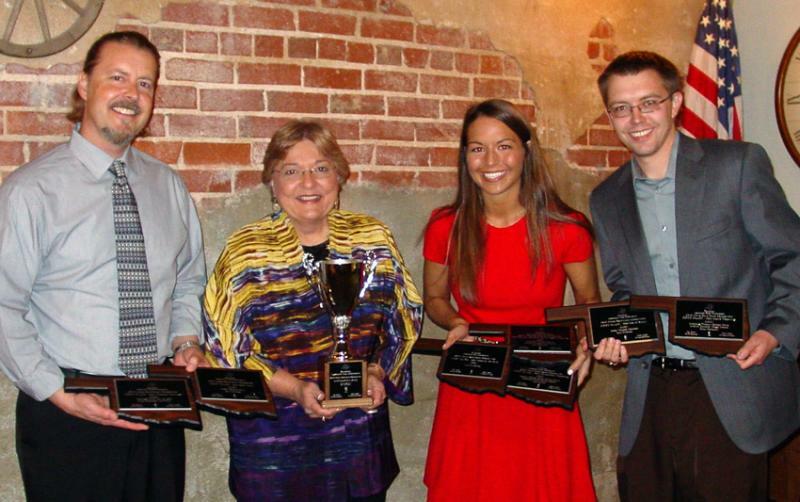 The KGOU staff, students, and projects – the Oklahoma Tornado Project and StateImpact Oklahoma – together have received 59 awards for work in 2013. There is one national win that I will tell you about next week. KGOU received sixteen awards from the Oklahoma Associated Press Broadcasters Association, including eleven for KGOU and four for the Oklahoma Tornado Project, plus the Radio Sweepstakes Award for the most awards in radio.